Not just one, but two new Belgian releases this week. At least, that was the case until the release of Algo Bot was delayed to February 14 at the very last second. 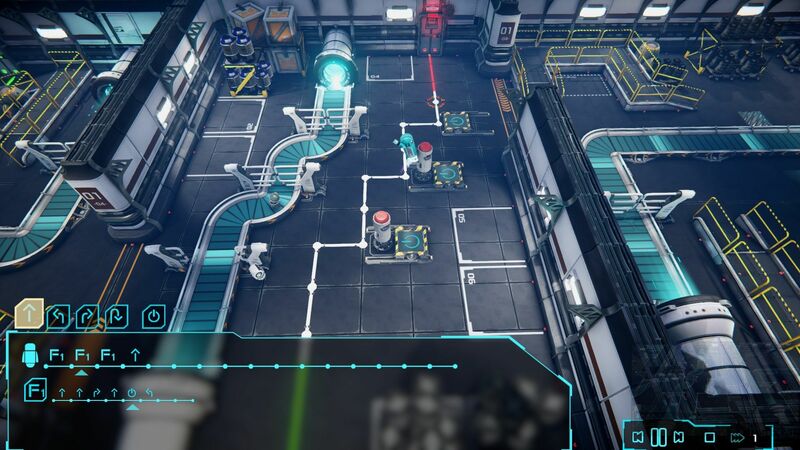 For now, the frantic multiplayer action of Hoverloop will keep you busy, but for those wanting to learn the ins and outs of programming, we also have some details on Fishing Cactus’ new puzzle game. Hoverloop by Not a Company has taken to Steam Early Access earlier this week. In this multiplayer arcade arena game, you take control of your favourite customisable drone and pilot it through as many as 10 different game modes. There’s the classics like Capture The Flag or straight up Deathmatch, but you can also try your hand at some of the more exotic modes like Zombie Tag or Air Hockey. Every mode is playable in splitscreen multiplayer but if you don’t have a huge screen (or a lot of friends) you can also pick up the gauntlet against a range of AI enemies. The Early Access release is one of the final steps in the development of Hoverloop, that started with a succesful Kickstarter. The final game is due to cause havoc somewhere in the summer. With Epistory, they learned us how to type, and now Fishing Cactus wants to teach us the basics of programming. Algo Bot is a code based puzzle game taking place in the Europa, a pan-galactic colonisation ship where a recycling mission has gone horribly wrong. To prevent a total meltdown, you will have to break out your best programming skills. Players guide the service bot Algo-Bot To prevent his friend PAL from a total meltdown, players will have to guide the service droid Algo Bot and to control it you’ll need to learn about algorithms, logical loops, variables and functions. The game offers 40 coding puzzles in five different environments and will gradually get harder. It’s also very cool you can return to earlier levels and, much like a real programmer, optimise your code as you get better. That’s presumably the reason why Fishing Cactus has to postpone the release of the game, which now comes out on February 14.